Striking the balance between its storied past and limitless future, The Plaza Hotel in New York City is the ultimate luxury lifestyle destination - a timeless urban resort with a new and contemporary spirit. 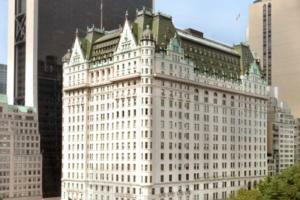 The Plaza Hotel offers 282 distinctive guestrooms, including 102 luxurious suites, which boast the largest square footage of any luxury hotel in New York City. The Palm Court, The Plaza Food Hall by Todd English, The Rose Club, The Oak Bar and Oak Room (currently closed, re-opening date TBA), The Champagne Bar.